Pontiac Solstice Forum > Vendors > Diode Dynamics > Pontiac Solstice Fog Light LED Bulbs! Several Bulb Options! Plug & Play Install! Pontiac Solstice Fog Light LED Bulbs! Several Bulb Options! Plug & Play Install! 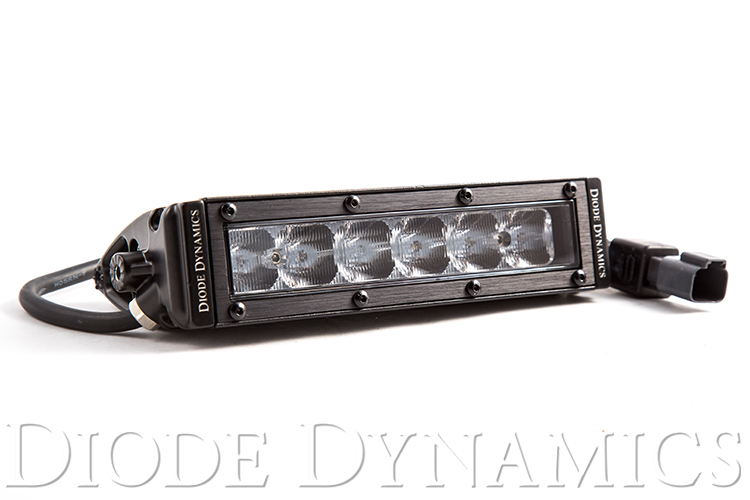 Diode Dynamics' carries LED bulbs for replacement of your Pontiac Solstice fog lights, in all major sizes. This will make your fog lights a clean white color that closely matches factory HID lighting! Just simple plug and play, replace the bulb and you are good to go! We carry the brightest, highest-quality bulbs on the market. These LED replacements are designed by our engineering team here in St. Louis, and every bulb carries with it a three-year limited warranty. Please note that most LED fog lights are intended for cosmetic purposes only, and will not project light in the same way that the factory bulbs do. Your car will look great at night, but if you are looking for higher output, we strongly recommend using an HID conversion. HP36: Full 360 degree illumination with 36 High-Power Samsung LEDs. Aluminum base for optimum heatsinking, and non-polar design for easy installation. Fitment. All three bulbs use a quality inject-molded 880 terminal, with a full-size base connector and proper pin alignment, designed for exact replacement of your factory 880 bulb. A load resistor is embedded to prevent blowing the LEDs from voltage surge, and a diode is implanted to protect the LEDs from reverse polarity. The LED is wired for 12V operation, the kind found on all modern vehicles. Included in your order is TWO BULBS (to fit your Pontiac Solstice). Diode Dynamics products come with a 30-day satisfaction guarantee and a 3-year limited warranty. Last edited by Diode Dynamics; 12-21-2017 at 10:13 AM. Thanks for adding the Dealer Locator Map. Turns out there is a dealer just a few miles from my location. I will be visiting there tomorrow. Excellent! Let us know how it goes! Went down to shop in Dayton to purchase bulbs and there was no where to park! Maybe another day. Went ahead and placed order online for fog lights, license plate and running lights. My 2007 Saturn Sky Redline has a H9 socket for the fog lights. Will your LED fog lights fit my car? If so I am ready to purchase. Our email is: [email protected] and we also have live representatives on our website if you wish to chat about lighting upgrades for your Solstice. We are happy to help! Thank you for asking! We don't offer an LED in the H9 bulb size, but we do have an HID conversion kit available if you are looking for more usable output. Our dealer locator tool has been updated!